* thanks Judith for sending this to me! Mary – Your message really speaks to me today, but, then again, your messages always do! I love the photo and caption – the expression on that dog’s face says it all. Thank you for saying exactly the right thing at exactly the right time. Love and blessings to all today and everyday. Sweet, sweet picture! Who sang that song (about ten years ago)? “Who let the dogs out?” Let the flock charge out of the gate today – fly high everyone! For some reason the other day I awoke with my hands by my head, palms up, and these words just came into my head, “Charge me up, angels!” – like, get me really charged up for this new day. Make this a good one, everyone! Kind of weird, Susan, I actually had that kind of day today – high flying, but grounded as well. Feeling blessed and grateful. This morning I was in my car driving down the small street I live on. It’s a gorgeous day here in my neck of PA, and I was just feeling the cool breeze and watching a few gold leaves come down from the trees. I suddenly thought to myself how damn glad I was to be alive this particular day and how lucky I was to see yet another change of seasons. The gratitude for my life was overwhelming, including all of its blessings and all of its flaws. Your post speaks to this today, Mary. I wish it was possible to start every day out like this. But I think we’re all getting closer to that goal. Blessings to one and all today! First came the dream: a couple of acres, peaceful and quiet, with as many critters as I could love and care for. It was deferred for years with working for a living, raising a family; the usual things that take precedence to wishful thinking. existing house on the market, had an offer in a week and closed escrow in 27 days! Today we close escrow on our new home and I am still spinning in delighted wonder. Pinch me, please—am I still dreaming?? 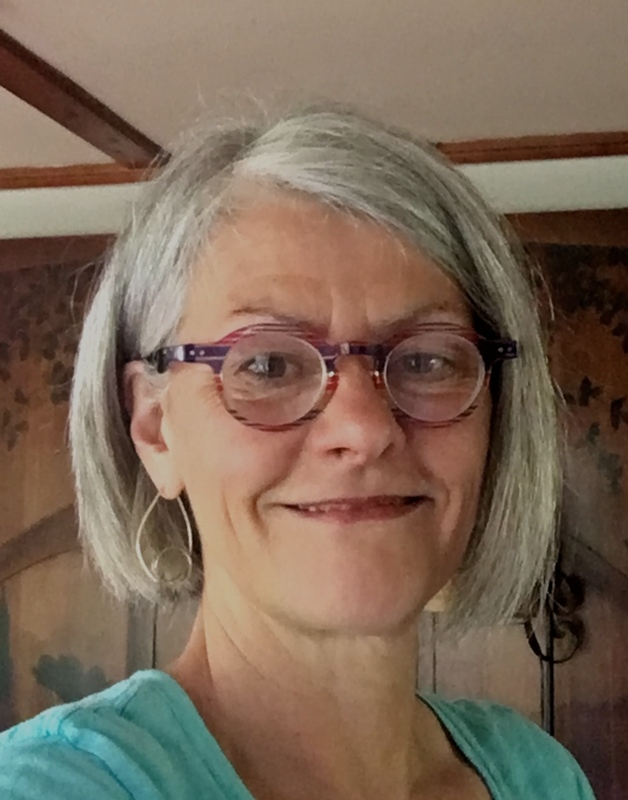 Congratulations, Cheryl B.! I’m so very happy for you and am sending a cyberpinch your way. Congrats Cheryl! I am so very happy for you that your dream, long-held, came true! Enjoy every moment. This was definitely meant to be. Blessings on you and your new land….the rest of your life is beginning! Cheryl b! by the beautiful sea! – Congratulations on seeing your dream into reality! May you have nothing but blue skies and sunshine! Cheryl, you will no longer be ‘by-the-sea’. Selling, buying, it sounds as though you were very lucky at both ends. Central Oregon, what draws you there and will you experience snow in winter? Don’t know why that is important other than I believe Oregon is a beautiful state and I’ve never been there. We will no longer be by the sea but have only a half hour drive to the coast— a most livable compromise! And I’m sure we’ll experience four seasons again with occasional snow, according to the locals. But as beautiful as our former home town was (for more than 30 years) it has outgrown the infrastructure and inundated with too many other humans. I’m giddy at the prospect of a quieter, simpler lifestyle. Now it’s time to change my moniker!! magic is alive! i just feel so “pinch-me-sweet” in your celebration. (double pinch for you here). i too love this majestic state of oregon and know the seduction of central oregon (and the ocean too); those sunny skies, spacious landscapes, and white, crisp winters. close in attendance are majestic mountain ranges, rivers wide and forests afoot with wild critters. i’ve heard oregon called ‘god’s country’. oregon is also my home. thank you for sharing about your “dream prayer.” Dream ever on… the end is not yet. dreaming with you, cheryl-by-the-sea. i’m ready to hear more. WOW, Cheryl! When things move, they really move — and now you are literally moving! I’m in Portland and trying to figure out where you can be in “Central Oregon” and be half an hour from the ocean. This is a great state for animal lovers — there’s so many fabulous affordable properties with room to do what you’re dreaming of. An old buddy of mine is living literally in Central Oregon with her husband and their own crew of dogs, chickens, goats and a horse, plus taking in a foster dog or two here and there, and loving it. Bless you as you create what your heart desires! Oh my goodness! When you step away from something you love for awhile and then come back to it, is it not all the sweeter? Mary your wonderful blog is a balm for my soul ( and I also love your skin balm!). Cheryl, I couldn’t be happier for you and your husband! Congratulations! I am currently in Salt lake City to help my daughter with the last month of preparations for her wedding on Oct 13, and then off to Boise ID for my next big adventure! 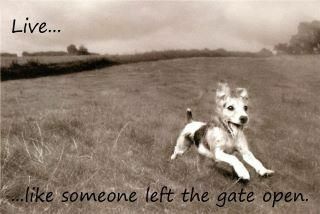 Somebody definitely left the gate open! Love to all. Prayers, good thoughts, and positive energy sent your way Cindy…and by all means get your hair colored for you will feel that much more special at the fair this weekend! You are so funny! Hair is always at the top of my list too! Cindy, tomorrow I will light my yoga candle for you! Angels all around you! – You will be at the Fair before you know it with your tresses restored to their ‘natural color’ – haha! xoxox to you! Cindy, I came to your post a bit late (not until this morning). I’m so sorry you have to go through this, and I understand your fear. I’m going to take the liberty of adding your name to the list of a prayer group I belong to. I think I did this for you once before for your eyes. Just go to the appointment and do what you have to do. You have so many good and loving thoughts from our flock here, as well as the prayers you’ll be surrounded with from my group. Just relax into that great energy and try to let THAT do the work. Let us know how you fared. Blessings. So shall we say Cheryl b. by-the-coast. Wow! super news for you and we are so happy for you. Mary, I love the expression on that dog’s face. Maybe it’s the same one of Cheryl’s face today. I think so. Thank you love this Pic, now my facebook cover pic.